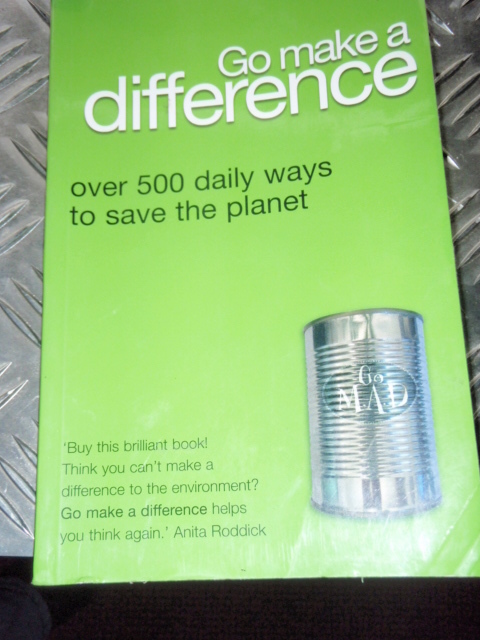 Among the many books in my library I have a little gem called Go make a Difference – over 500 daily ways to save the planet. 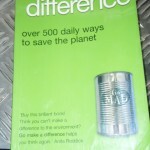 Whilst the book relates mainly to mainland UK it is still quite a fine journal crammed with useful links and thins that can be so easily done to help our planet. That one may not be so relevant to the general populus… but for apartment dwellers and bedsitters to those in country mansions – if you only did one of these per month in your life… As one of the reviews on the back by John Vidal, environment editor with The Guardian says, ‘How many people does it take to change the world? One to buy this book and six billion to act on it’.